Buy Debbie's 5 star Book here! Ruby Slippers 11-11, The Journey to my Soul! Book your private SESSION here! PROGRAM: I AM EXTRAORDINARY! a 90 journey to Personal Transformation! PROGRAM: Spiritual Healer Journey! A 90 day journey to Ignite your Spiritual Gifts, your way! TRAINING: REIKI CERTIFICATION TRAINING!! Private, group & Zoom workshops! Contact Debbie / Order DoTERRA Oils here! Register here! for the 11 Energy healing infused Meditations Bundle for $11.00! The Journey To my soul! #Blessed! 5 STARS on Amazon! 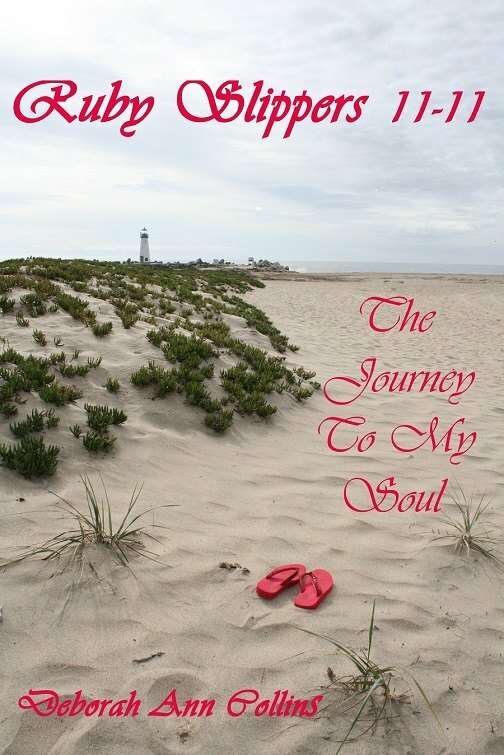 Ruby Slippers 11-11 chronicles a year in the life of author Deborah Ann Collins, as she embarks on a journey of spiritual self discovery and universal awareness. From early childhood, Debbie shared a psychic connection with the spiritual realm. Her intuition and openness allowed her the natural ability to tune-in to the spirits of those in her life who had already passed on to the other side. As a young girl, she didn't know that her talents were special or unique. To Debbie, they were just a part of her reality . Like many of us, Debbie began to insulate herself from her psychic abilities as she grew older. Family and career goals took the center stage of Debbie's life. As a mother, wife and successful business woman, Debbie thrived financially as well as in her home life. And yet, something was missing. The year she turned 50, Debbie realized just what that something was. In the hub-bub of daily life, she had lost that connection with not only the spirit realm, but with herself. Reconnecting with her authentic self became a necessity, which would lead her on this raw and empowering journey, and ultimately to the re-awakening of her soul. Inspirational and enlightening, Ruby Slippers 11-11 was originally written to document the synchronistic happenings that lead Debbie on this beautiful adventure. It now serves as a guide to self discovery for people of all ages, aiming to excite and remind the reader that it is never too late to connect with ones true self.